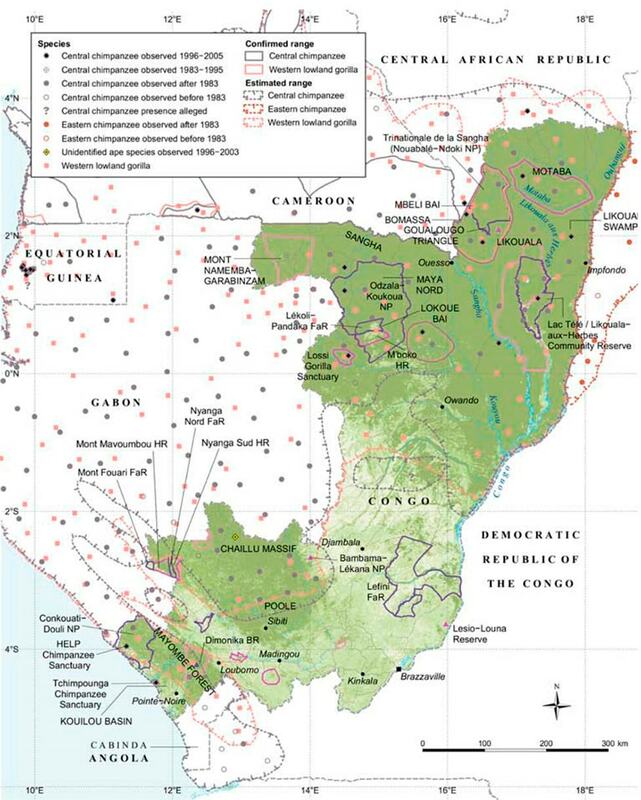 Congo is one of the most densely forested countries in Africa and is host to large populations of Central chimpanzees and Western Lowland gorillas. Congo has improved its conservation effort by expanding the Nouabalé-Ndoki National Park by more than 37,000 hectares (370 km2) to include the dense Goualougo swamp forest, home to significant populations of chimpanzees and gorillas. A 2004 outbreak of Ebola killed an estimated 95 percent of Congo’s gorilla population. Although population estimates for Western Lowland gorillas went up after a previously unknown population was discovered deep in the forests of the Republic of Congo, this should be interpreted with caution as the overall trend is still one of decline.